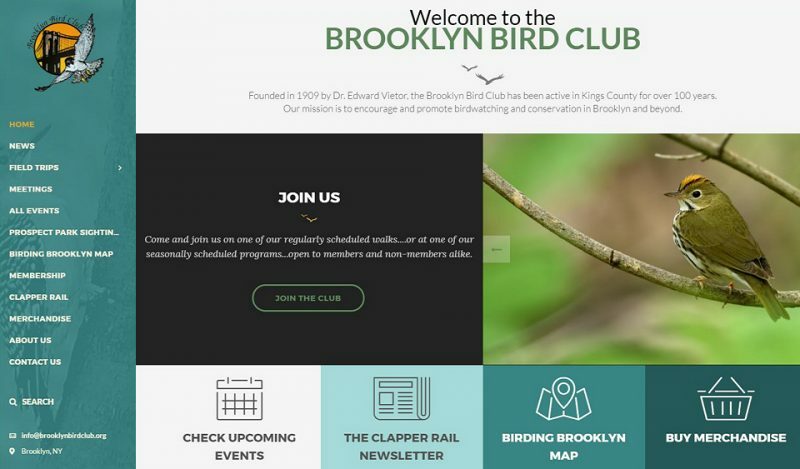 Way back in the last century—1998 to be exact—the Brooklyn Bird Club launched our original web site. It was one of the first for a local bird club, and received much kudos! But with the advent of Web 2.0 and the exploding growth of mobile computing, it became sadly out-dated. It’s taken awhile, but we’ve finally “gotten with the times” and are excited to present to you a totally revamped site. Created completely in WordPress, it’s now optimized for both desktop and mobile use, and ease of updating. A new blog/news feature will allow us to post timely updates on club and conservation news and other stories of interest to our readers. Be sure to check out our interactive calendar for our trips and meetings schedule, which is now exportable to your Google calender or iCal supported apps. Many events link to Google maps and directions can easily be obtained on both your phone or desktop–so you can have directions in hand on your way to an event! 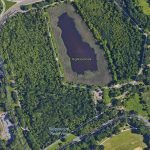 Our map of Birding Brooklyn hot-spots (including a little bit of coastal Queens) is now more useful than ever, with each site linking to its ebird checklist, and Google-map integration, which again makes accessing directions super easy. 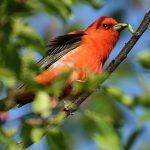 Choose from driving, transit, walking, or biking directions and find your way to the best birding locales. Our beautifully redesigned Clapper Rail newsletter is also prominently featured, with archived issues available. We hope you’ll like the new site and we would love to hear your comments. You can comment on this post or contact us via the “Contact Us” page. Thanks Bets! So glad you find it easy to use! Love the new site! It has everything in one place and very accessible. Attractive too! Thanks so much for this!